Hi Lovelies! I actually already film this review via video. but then I don’t think I have a very good camera as of now to show it. So really, I should do this in a blog review! 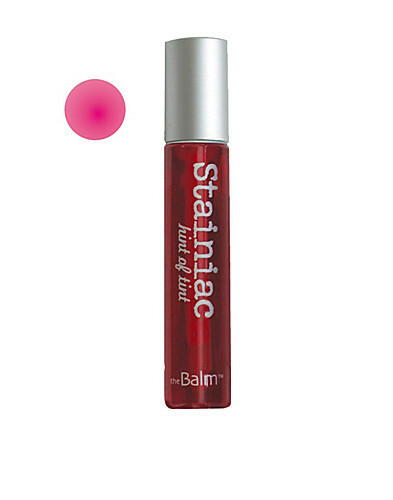 So anyway, I got this Stainiac the Balm - Beauty Queen from one of my @birchbox Boxes. It is suppose to be for lip and cheeks, but because I don’t like applying liquid stuff to my skin ( I am acne prone) I only tired this out on my lips. Ta Da! It looks all moisturized and rosy!! So I actually been using this quite regularly since I got them. Since I usually focus on eye makeup, I think a natural looking lip balm will really balance out my look. Also I would probably pick moisturizing over color any day, as I hate lipsticks that dry out my lips! The lasting power is ok. Probably about 3 hours ( Edit: the moisturizing part only, the picture here is taken right after application, but I think the color don’t last at all). Personally I am pretty lazy at reapplying, so I always look for super long lasting products. However, I think 3 hours is quite reasonable for the general users. I would probably recommend this product to friends and families. The full size is $17, so it is not cheap. I guess it all depends if you think the lasting power is worth it! 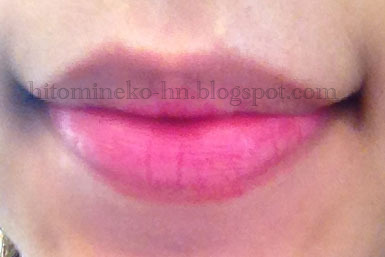 Other then that, I really love how it moisturized my lips! So that is it for my quick and sincere review!